Ponderosa Software has been a leading provider of high-quality business management software to the LBM industry for nearly 40 years. 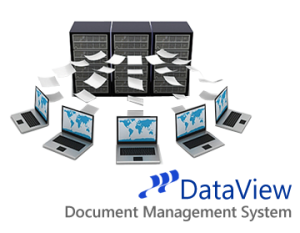 Our integrated DataView® Document Management system is one of the most effective uses of software there is today to standardize operations, improve productivity, reduce costs and secure your company’s data. 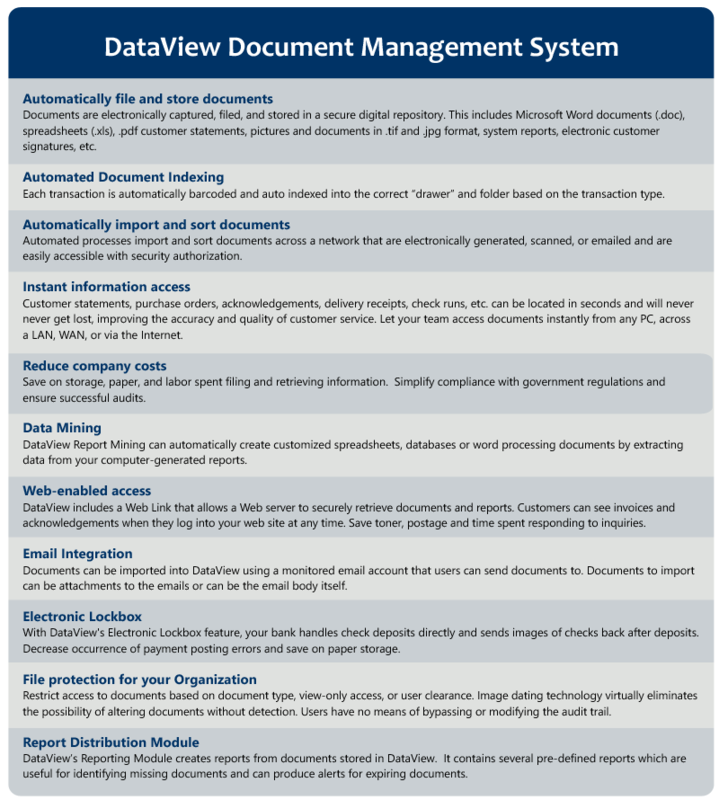 Document Management software products help businesses reduce dependency on paper by managing records electronically, improving communication between multiple branches and elevating customer service. Missing, incomplete information can negatively impact your business in many ways. Keeping your data in a central repository, or electronic “file cabinet”, for data verification purposes boosts efficiency, improves document security and closes the loopholes that will inevitably impact your bottom line. Images of system-generated transactions are instantly stored and linked to related transactions behind the scenes and can be rapidly accessed by system users at any time, from anywhere, on an enterprise-wide basis. Automated processes for importing, scanning and indexing outside documentation make DataView the fastest option for storing and locating documents. DataView drastically reduces the overhead associated with handling information and ensures your audit trail is secure and complete. You can avoid the unnecessary duplication of documents, save on paper and storage for files and reduce human error. The time that personnel spent filing and searching for paper copies is instantly freed up to pursue more effective ways to grow your business and you can rest assured that you will always be able to instantly pull the information you need to protect your business. Already have a Document Management system in place? An experienced Ponderosa Business Consultant will convert your data from any Document Management system already in use to DataView — eliminating the need and expense of maintaining a separate server in order to refer back to old data. DataView is designed to grow with your organization and is easily scaled up by adding additional storage and/or workstations as usage increases. Integration is seamless and can be deployed by our expert consultants in a matter of days without tying up your IT resources. Customizations for your specific business needs are addressed without major programming modifications.